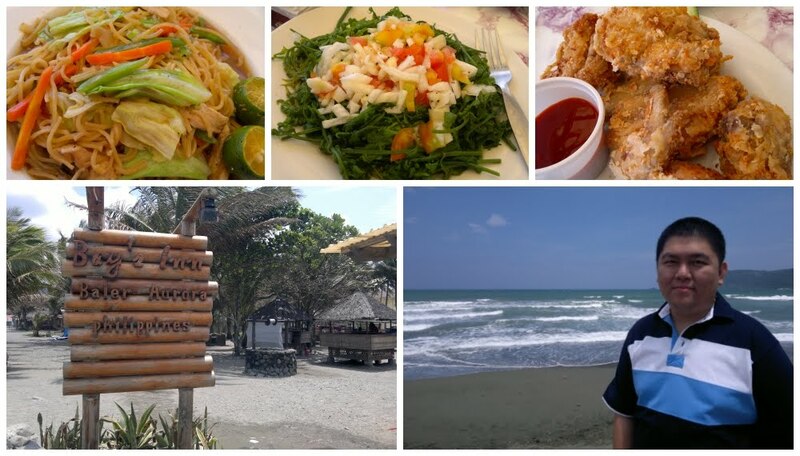 Prior to our trip to Baler, I read online that the ensaladang paco (fern salad) is a "must-try" in Baler. As soon as we got seated at Bay's Inn restaurant, I immediately searched for the said salad on the menu. It was served with tomatoes and onions. We also ordered for pancit and fried chicken. The pancit tasted it was prepared with coconut milk, which made it a little creamy and sweet. The fried chicken was deliciously crispy and perfectly paired with the ensaladang paco.